The rider wants a horse which is sure-footed, supple, balanced and relaxed. 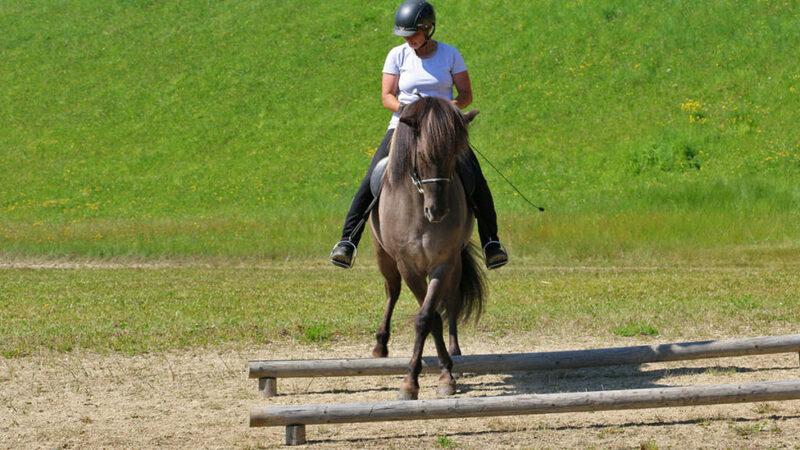 Working Equitation offers an interesting and varied training with its work at the different obstacles. The trail obstacles give more meaning to the gymnastic work. The horse gets a lot of motivation and the rider develops a better understanding for the precise performance required at the various obstacles. Often the rider will receive the feedback from the obstacle itself, an excellent opportunity for self-correction. During my lessons I can watch how rideability and everyday suitability of the horses improves on a daily basis. 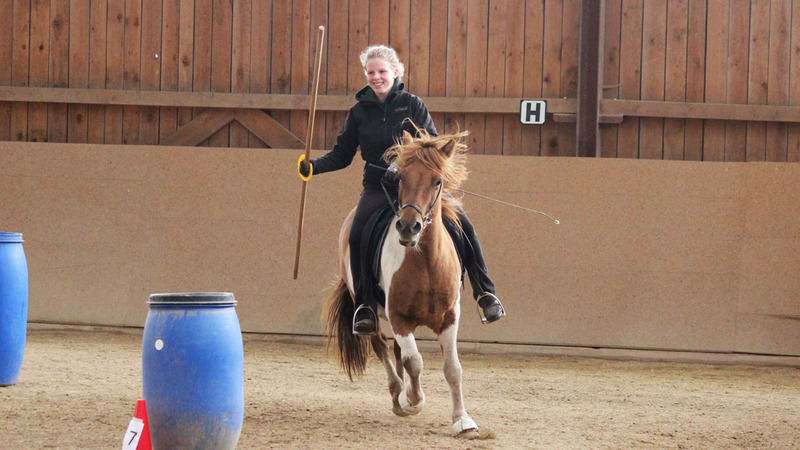 My training of riders and horses is tailored to their current level. 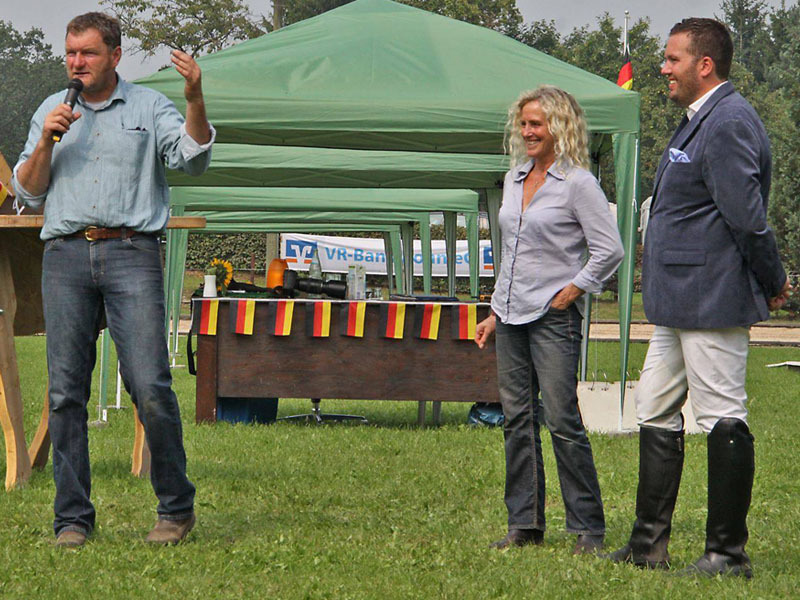 Training can take place either at my riding facility in Rachtering or at your place as part of a workshop. Again and again I am fascinated by riding horses with an active back. Einar Öder Magnuusson has taught me the word „Mykt“. It describes a horse which uses its full body to move and not only its legs. The training for Gaited Working Equitation activates and improves balance and suppleness. I’ve been familiar with the riding style Working Equitation for many years and compete in this discipline. One of my instructors is Pedro Torres, one of the best Working Equitation riders of our time. 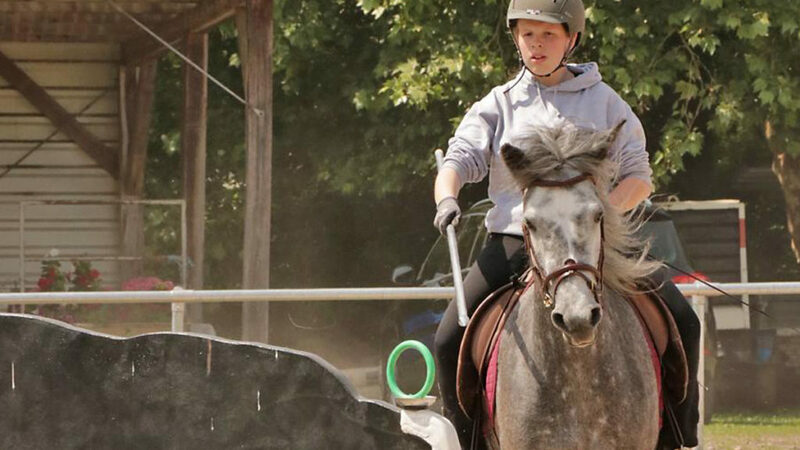 My students include successful Working Equitation riders as well as working equitation beginners and riders who used to ride other competitions or styles before. 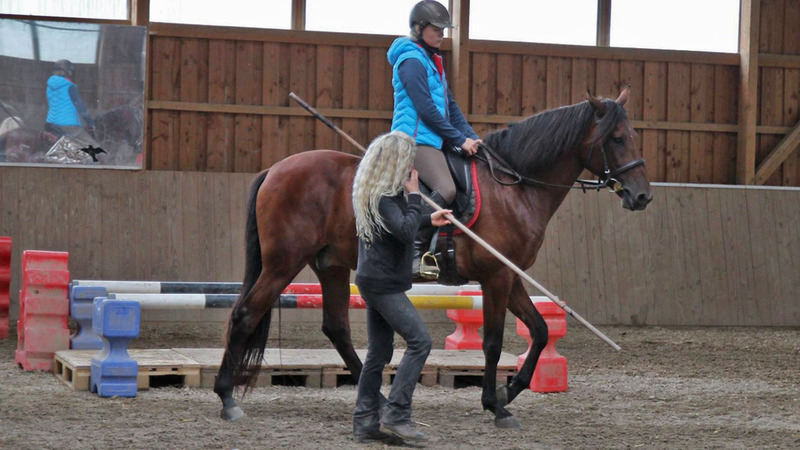 Because of my long-term experience training horses and riders I can recognize quickly, where we have to pick up to bring horse and rider forward. 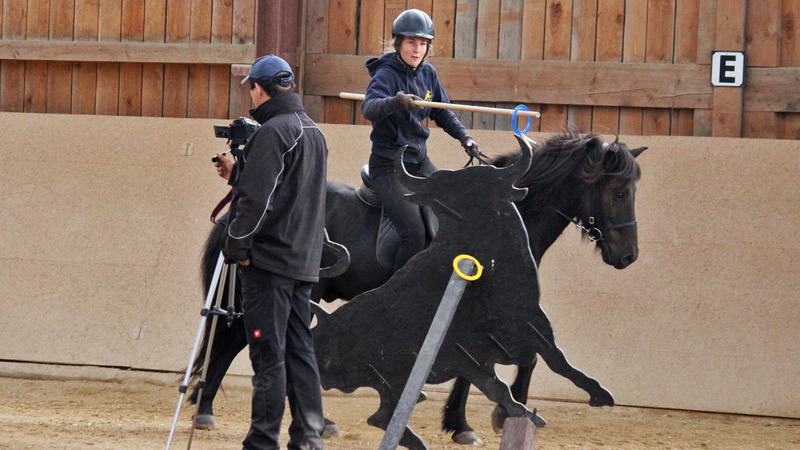 My training of riders and horses is tailored to their current level. The training can take place either at my riding facility in Rachtering or at your riding facility as part of a workshop. 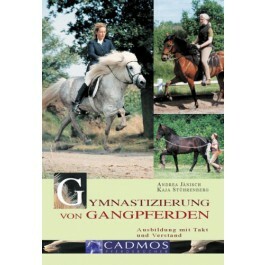 My book „Exercising the Gaited Horse“ (“Gymnastizierung von Gangpferden”), which I co-authored with Kaja Stührenberg, was published with Cadmos. 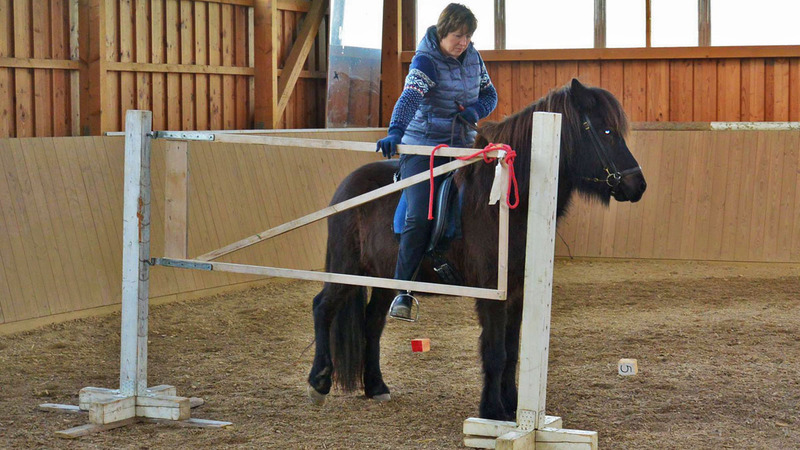 We want to establish the fact that Gaited horses need defined exercises too and that training is always about rhythm, sense and sensibility. 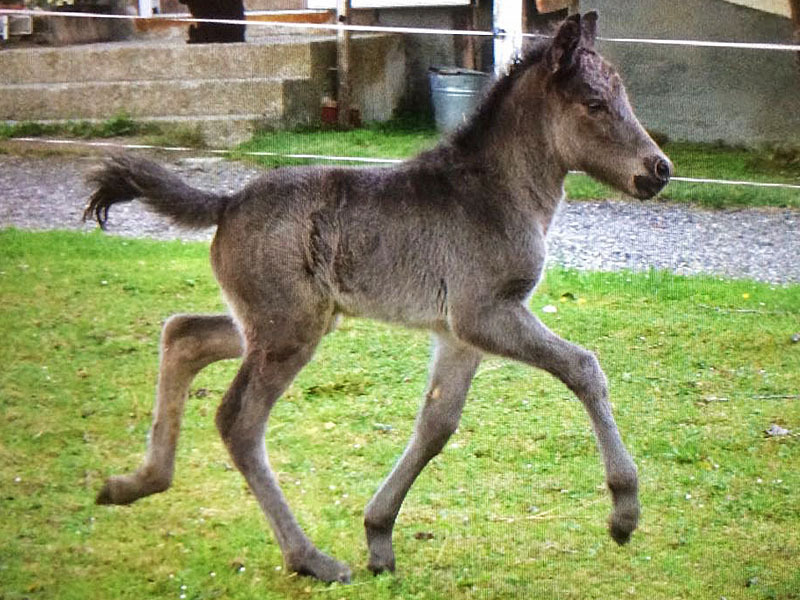 Tölt and all its variations are – like walk, trot and canter, – natural gaits. 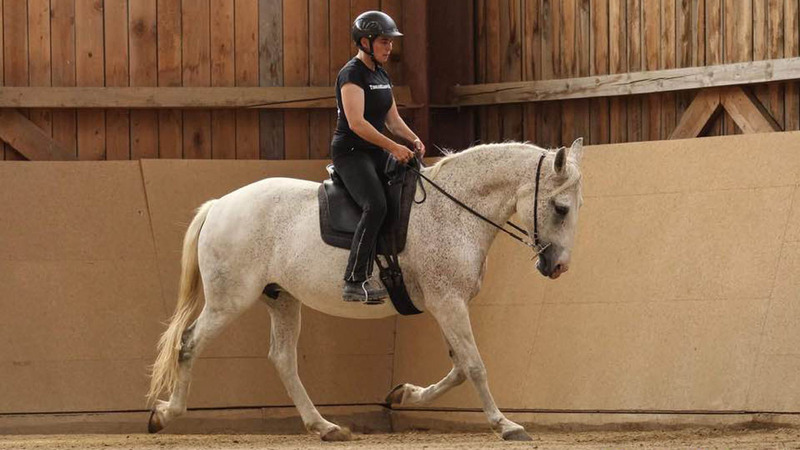 To ride the four-beat gait variations horse-friendly and healthy, the gaited horse needs a training as profound as every other riding horse. Some exercises like correct bending, lateral movements or e.g. canter/ or gallop are more difficult for a gaited horse. The book concentrates on these differences describing how the training of a gaited horse can be put into practice. 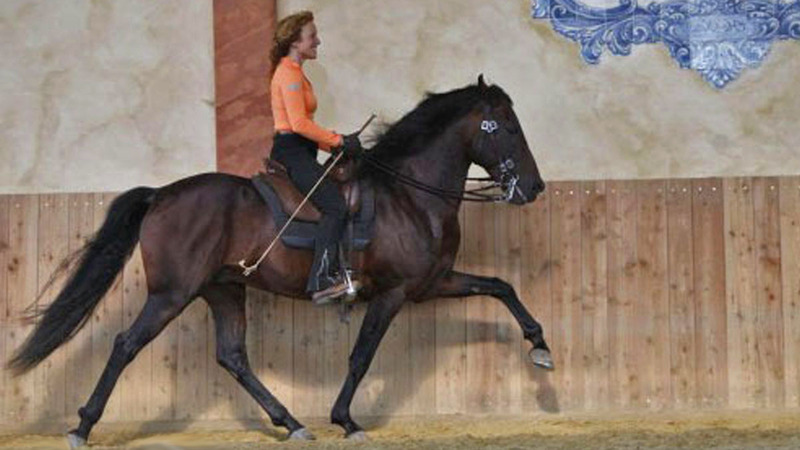 Further topics are the different four-beat gait variations and their training, the education of the young gaited horse, specific exercises to overcome difficulties, as well as the seat and aids of the gaited horse rider. Judging Gaited Working Equitation requires profound knowledge about gaited horses and the requirements of the Working Equitation tests in theory and practice. I have been judging Icelandic and other gaited horses since my adolescence. “My perception and approach to working with my horse have changed fundamentally because of Andrea’s lessons and the work at the obstacles. In 1988 the International Association for gaited horses (IGV) was founded – initially as „International community of interest in tölt-horses“ (IGT) but then renamed in 1991 to “IGV”. The IGV stays in close contact to the FN representing the interests of Gaited Riding with the relevant board members. A Gaited Working Equitation test can be held as a part of any Gaited Horses Show, a general horse event or as separate competition. The tests are performed in three classes, L = Novice with a dressage, maneability and gaited test, M= Advanced with dressage, maneability and gaited test on a higher level and (optional to the organizer) speedtest and cattlework, S= Masterclass: dressage, maneability, gaited test, speedtest and cattlework. Obstacles according to he regulations of the Working Equitation Deutschland e.V. For more information click the link to he Prüfungsordnung GWE-PO. The basis of an appealing dressage test is a supple horse reacting to subtle aids. The maneability test is to be understood as a dressage examination with practical reasons to perform the required task at an obstacle. This is only possible with suppleness, precision and a calm horse regarding “new” things. The beginners are allowed to ride in trot or the characteristic four beat gait of the presented breed. 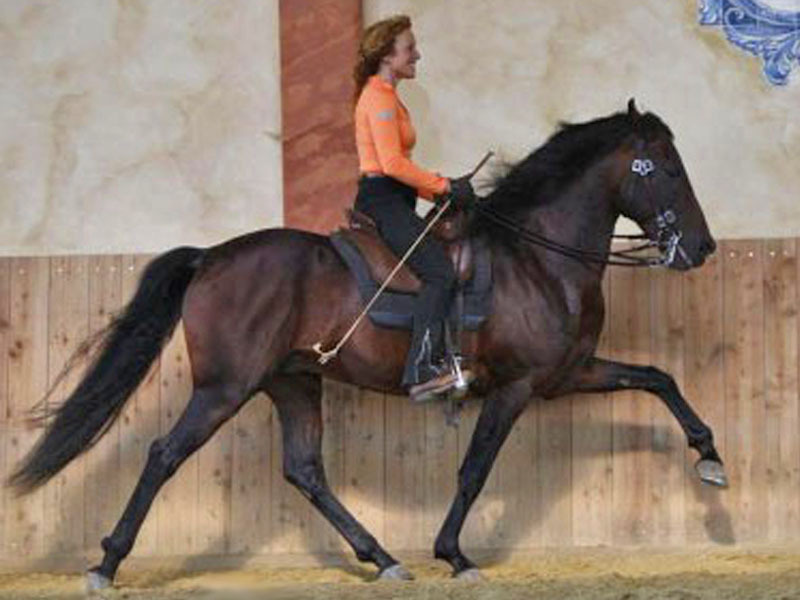 For Novice and Master classes it is mandatory to ride the test in tölt or the four beat gait characteristic for the presented breed. Important: Always end a training session with an obvious success for the horse – this keeps it focused and happy. The speed test is accomplishing the maneability course as fast as possible, but without mistakes at the obstacles. Here it is important to have the right strategy and an absolutely supple horse, which never pulls against the riders hand – even at high speed. Here transitions and tight turns are the key to success. For this test the regulations of WED e.V. apply. 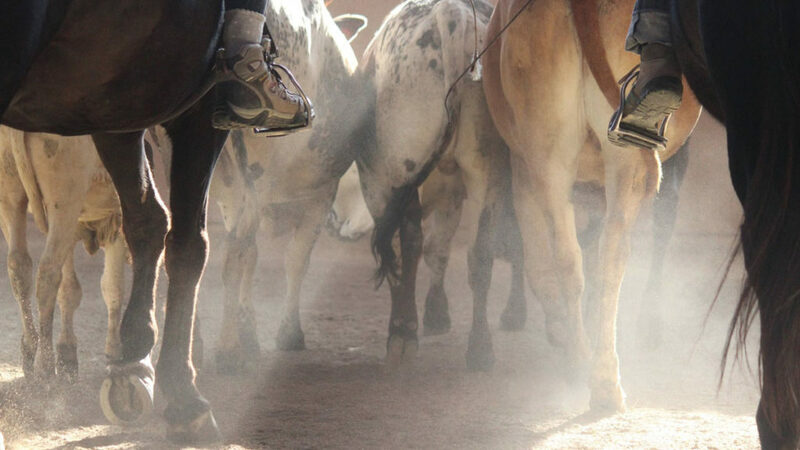 In my cattle training sessions gaited horses were very successful. The rider learns to ride with intuition as his concentration is focused on “reading” the cow. The horse requires reactivity and balance. Do not underestimate the power of concentration which is needed from both partners. Very challenging but also a lot of fun!